Home » Blog » Blown away by Cycle Oregon 2014! Blown away by Cycle Oregon 2014! 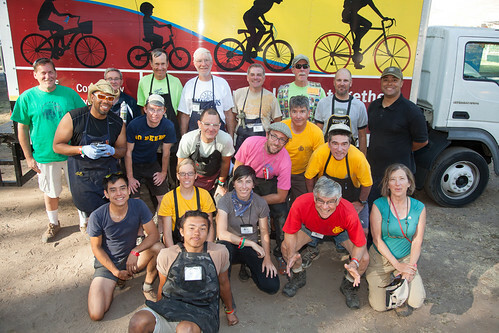 During the second week of September, five Community Cycling Center staff members, 15 volunteers, and our brightly designed box truck headed east to The Dalles to join the adventure that is Cycle Oregon. For over a decade, the Community Cycling Center has partnered with Cycle Oregon to raise funds for our community programs, most notably the upcoming wintry bash known as Holiday Bike Drive. On September 13th, our caravan arrived back in Portland with summer camp style memories, well-wishes from hundreds of riders, and an official tally of $29,766 in funds raised! The event had a lot of buzz before we even arrived: tons of climbing, long ride days, soaring temperatures, and breathtaking vistas. Though, one can never fully understand Cycle Oregon until experiencing it and this proved true for our majority first-time crew of volunteers. 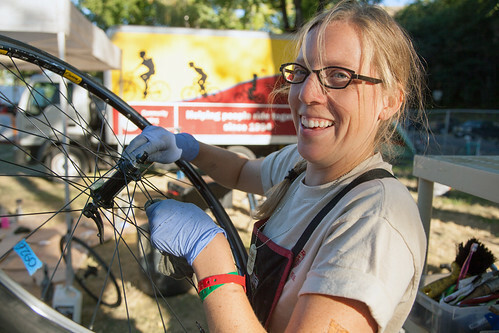 Together we detailed 95 of the coolest road bikes around, offered over 1,000 mobile device charges, and reconnected with dozens of long-time donors and supporters. A big thank you to our hosts for their unparalleled hospitality! 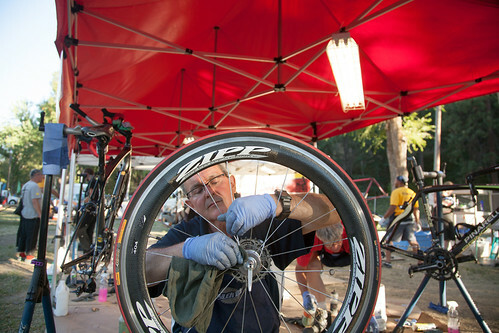 At every turn, riders and Cycle Oregon affiliates went out of their way to make sure our volunteers were feeling their very best. Encouragement, thoughtful conversations, drinks and treats along the way kept our spirits high. Thanks also to Zipcar and Penske Truck for allowing us to caravan in style and keep our bikes safely packed away! 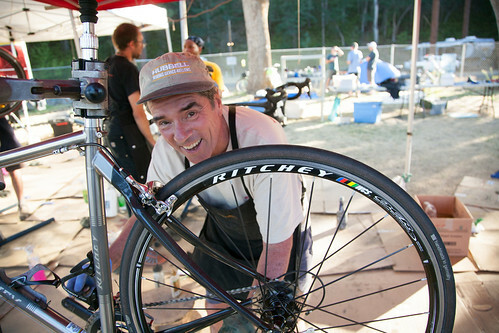 For more Cycle Oregon Photos by the talented Greg Lee, check out our Flickr album.